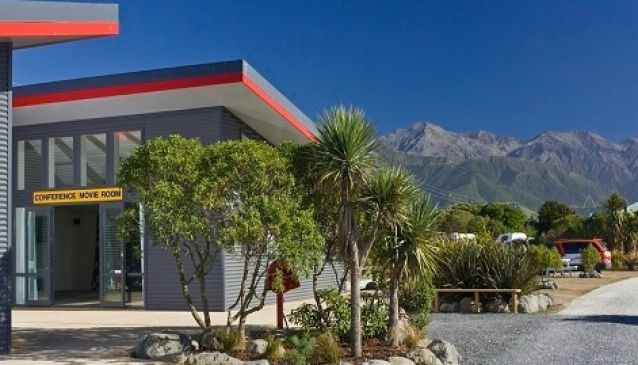 On the north eastern Pacific seaboard of South Island, the Kaikoura TOP 10 holiday park offers a traditional nature escape with a little dash of luxury. Shrouded from the back by the jagged-snow-capped peaks of the Southern Alps, Kaikoura Park juts out into the Pacific waters and offers a number of activity packages that make the most of both landscapes; from seal pup watching on the rugged shoreline, to pony trekking in the hills. There are a number of accommodation options to choose from, including self-catering cabins, motel rooms and campervan parking sites, while the park as a whole boasts a fully-fledged pool and spa complex, WiFi throughout, jumping pillow, large playground and games room.